Heat the butter in a large skillet. 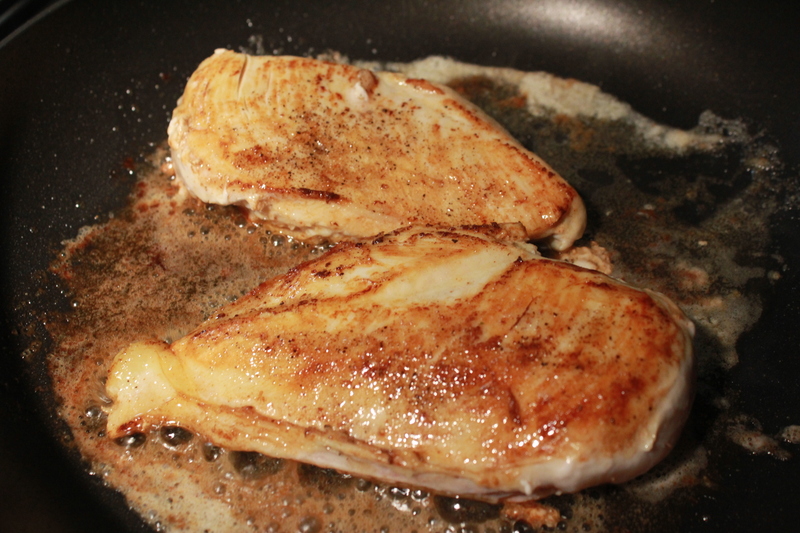 Season the chicken with salt and pepper on both sides, and add the pan. Brown each breast on both sides, and then add the wine and sauté for 15 minutes or so, until the chicken has cooked all the way through. Cool and cut into bite-sized chunks. Preheat oven to 350 degrees F. In a large skillet, heat the olive oil and sauté the onion, celery and garlic for 2 to 3 minutes. Remove from heat. In a large saucepan, melt the butter. Stir in the flour, a couple of tablespoons at a time, to make a smooth, thick paste. Slowly add the chicken broth, stirring constantly to keep the mixture smooth. 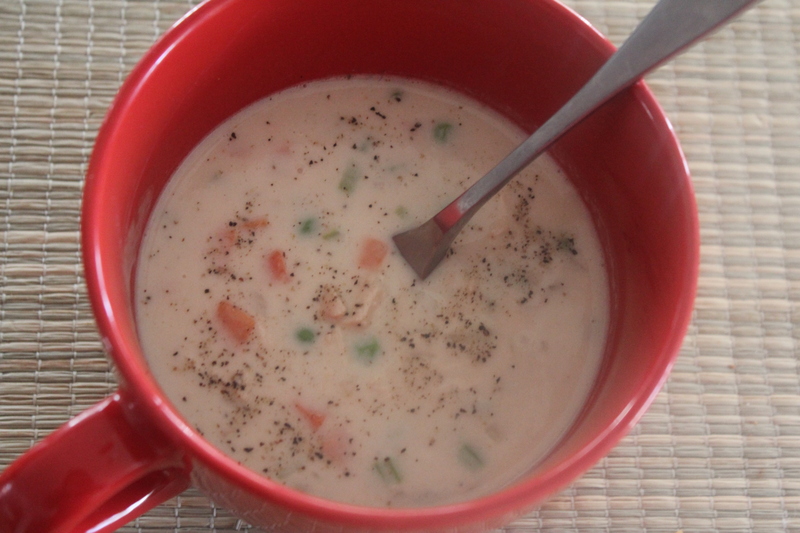 Add the half and half, season with salt and pepper to taste. 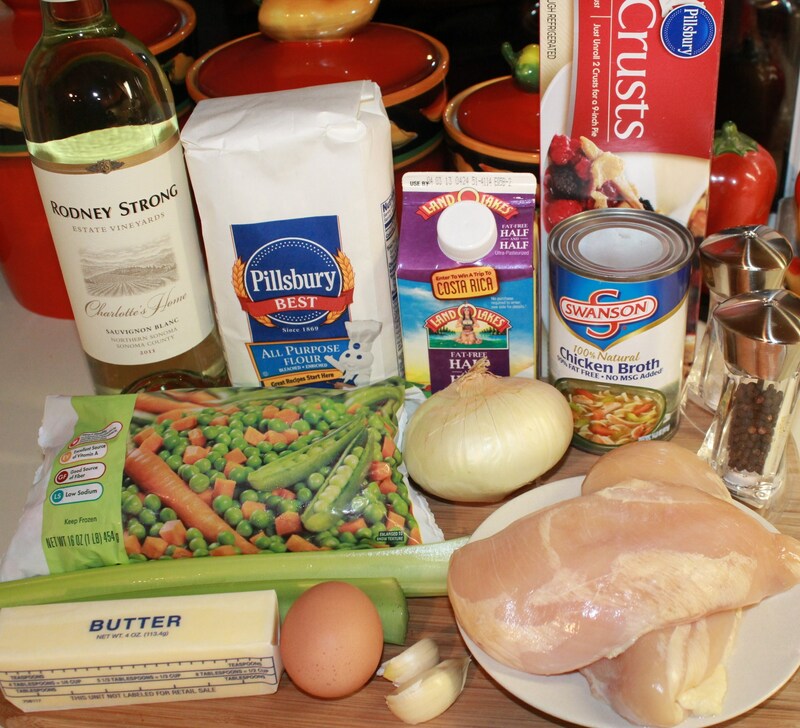 Add the chicken, peas and carrots, and sautéed onions, celery and garlic. Mix well. Roll out one of the pie crusts. 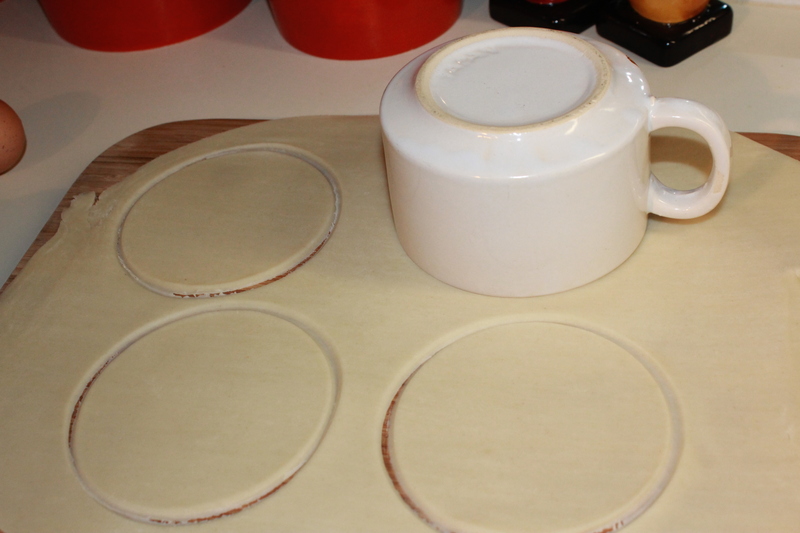 Cut the crust into circles that are a little bit larger than your ramekins. I used a soup mug for this step. Spray the ramekins with cooking spray. 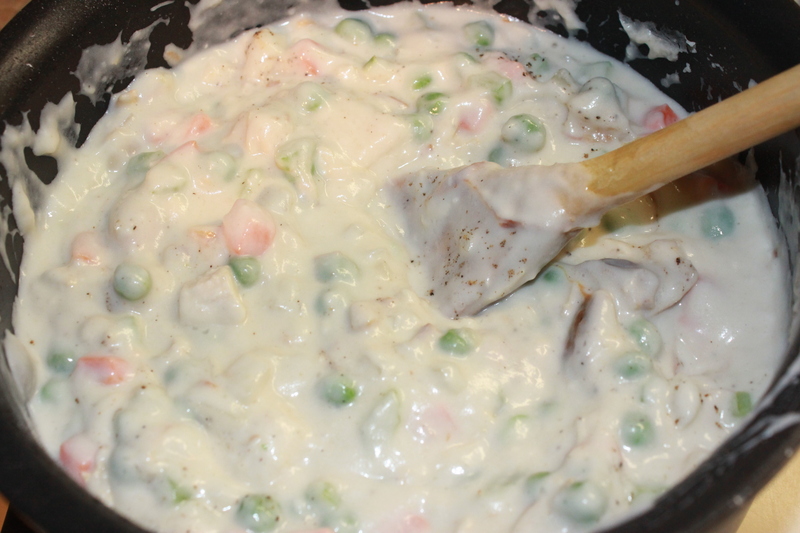 Spoon in the pot pie mixture. Top with the pie crust, crimping the sides to seal. Cut an “X” on the top of each pie to allow steam to escape. Beat the egg and water, and brush on the top of each crust. 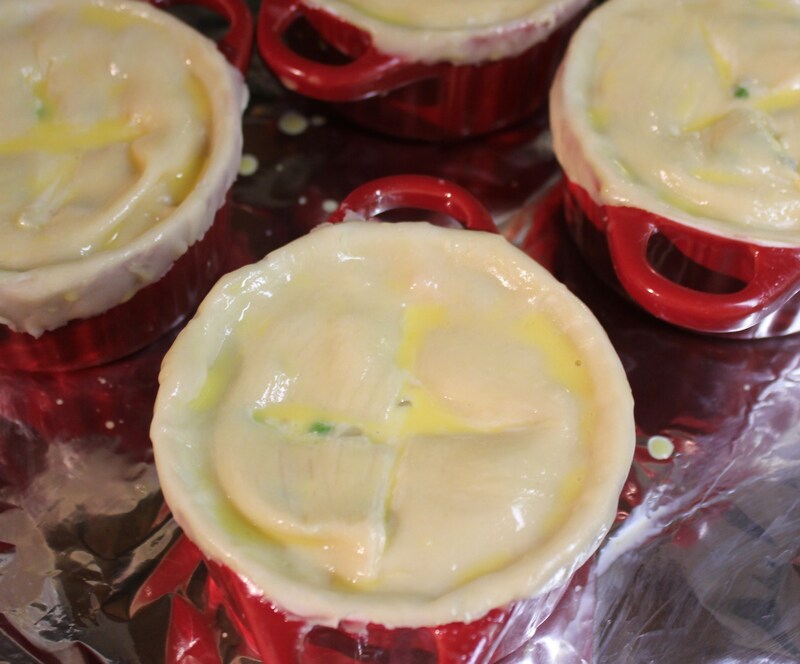 Place the ramekins on a baking sheet (I line mine with aluminum foil for easy cleanup.) Bake for 20-15 minutes, until the tops are a nice golden brown. 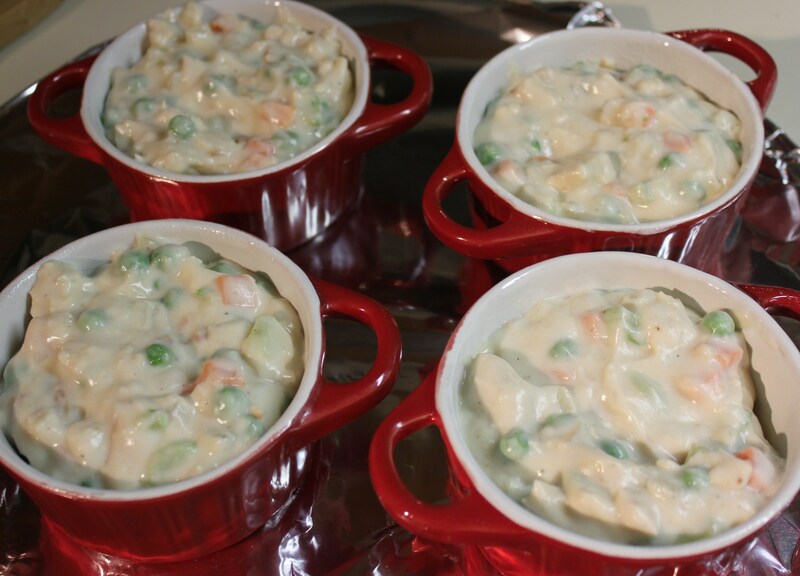 Serve with crusty bread or a tossed salad and some of that white wine you opened to cook the chicken with. 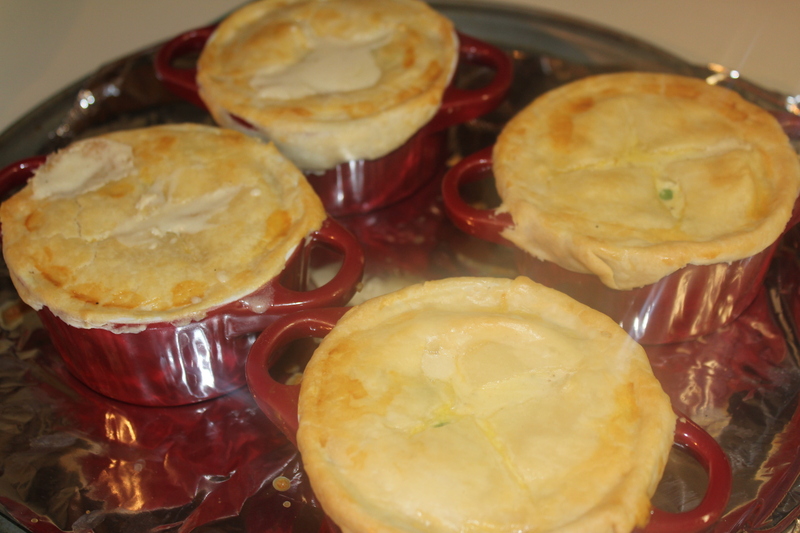 These are great for dinner, but would also make a great main dish for a luncheon if you have enough ramekins (or a small guest list.) Individual little meals like this make people feel special because it comes across that you made something just for them. 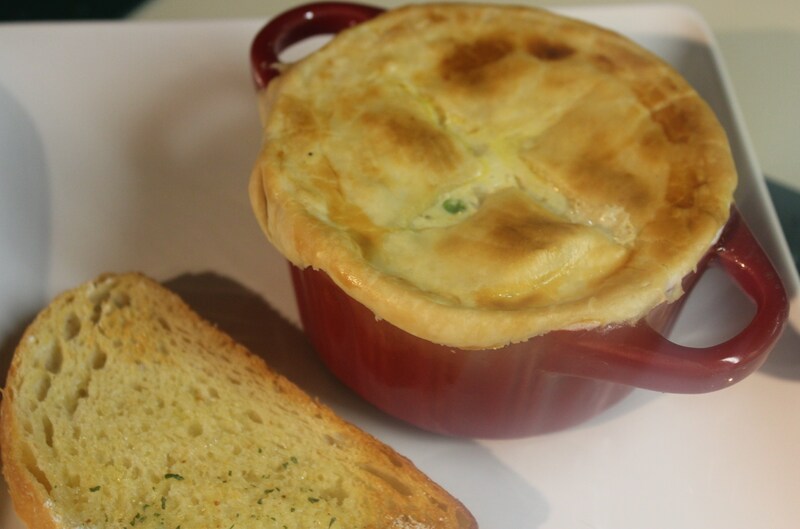 Up next in ramekin world? Mini desserts. Stay tuned! 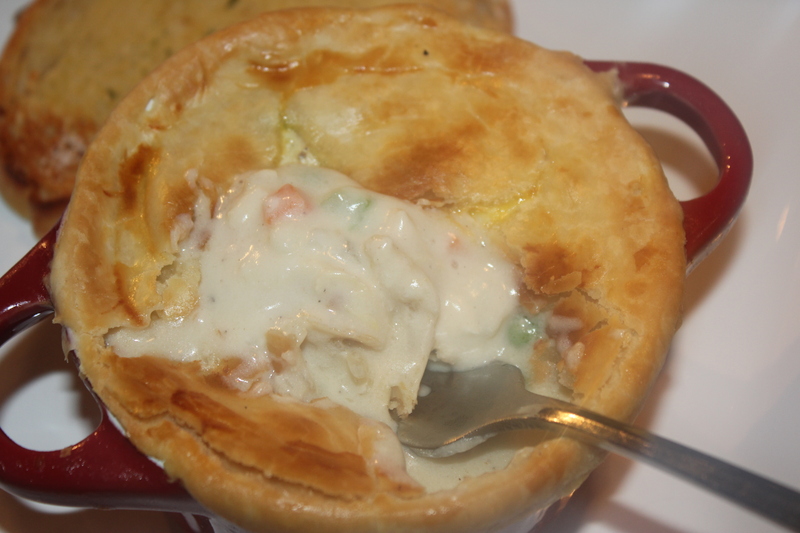 This entry was posted in Meat and Poultry, Recipes and tagged chicken pot pie recipe, eat drink and be merry, individual chicken pot pies, kel's cafe of all things food, Kelley Chisholm recipes, mini chicken pot pies, pot pies in ramekins. Bookmark the permalink.